Working in partnerships with the Village of Sea Cliff Traffic & Safety Committee, NY Coalition for Transportation Safety and partners in injury prevention, we have educated school children in Sea Cliff on bicycle & pedestrian safety, improving riding skills and hands-on basic bike mechanics. Long Island Streets serves on the Steering Committee for the Safe Routes to School program in the Long Beach School District, which serves students from the City of Long Beach as well as Island Park, Lido Beach and Point Lookout in the Town of Hempstead. Our signature ride! 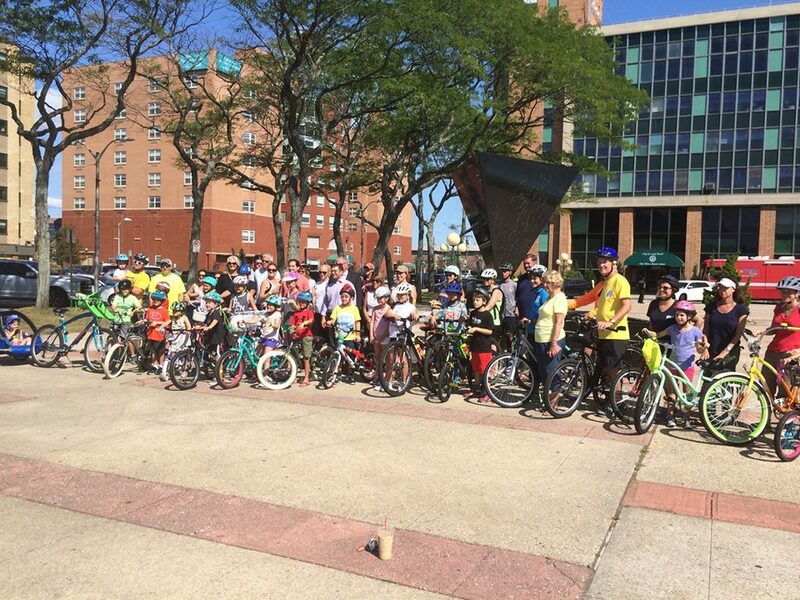 Click image to read about the Annual Lemonade Pedal in Long Beach, organized by Long Island Streets alongside partners on the SRTS Steering Committee. We helped to educate, encourage and empower this Girl Scout Cycling Club for two months during the winter....click on the photo to read all about it.